A strict house cleaning schedule isn't the only way to achieve a spotless home. This flexible method leaves room for interpretation so you don't feel like a total failure when you skip a day…or two! A little over a year ago, I thought I had found the perfect cleaning schedule. Inspired by the weekly cleaning routine from Clean Mama, I assigned every day a cleaning task. Bathrooms one day, floors the next, dusting one day, laundry one day, etc. And it worked…for a little while. It took the guesswork out of what I should clean and when. Which you think would make this structure-loving girl very happy! But some days, I ended up working later into the evening and didn't have time to clean the entire bathroom. Other days, we had events and appointments that threw off my entire daily cleaning routine. And when I missed one day of cleaning, I felt like a complete failure. Failure is like kryptonite to a perfectionist! The thing is—I'm a firm believer in doing a little something every day to keep your home clean . 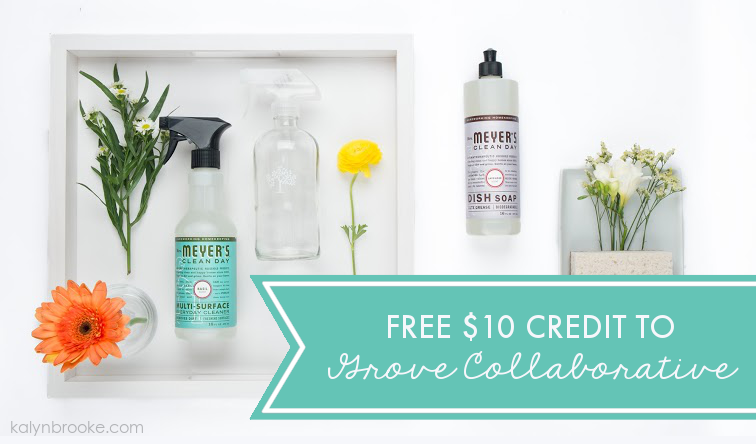 It takes the overwhelm out of a full-blown cleaning day once a week. But locking myself into a strict daily cleaning routine wasn't the answer. 1. I made a list of ALL the regular cleaning tasks it takes to maintain a clean home. You can see in the image below that these are more maintenance type tasks rather than deep cleaning. We'll tackle deep cleaning in another post! 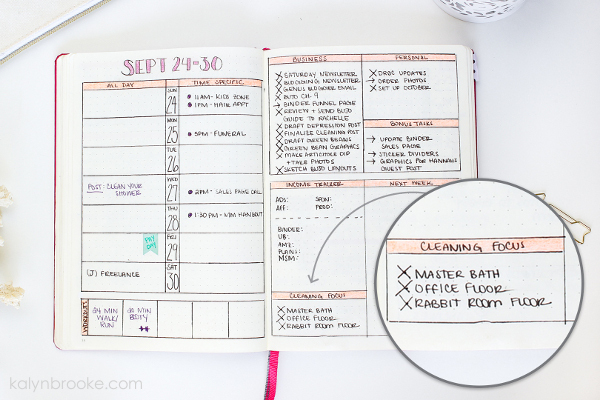 Psst…I keep this cleaning schedule my bullet journal. Learn more about bullet journaling HERE. 2. I created an ideal timeline for those tasks. I wanted my cleaning schedule to span a whole month, but I knew I needed to complete each set of tasks in 10-day increments. Since most months are approximately 30 days, this timeline worked perfectly for me. I didn't feel pressured to get everything done within a single week! 3. I established a system to make sure those cleaning tasks actually got done. This is the most important step. It's not enough to establish a cleaning schedule; you have to implement it to see results! 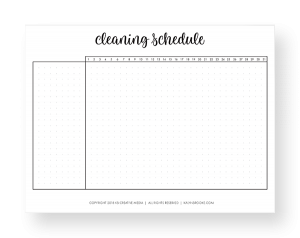 So every week, I create a cleaning section in my bullet journal and choose 3-4 cleaning tasks from my monthly schedule to add to that week. When one task is finished, I get to cross it off my weekly layout and monthly cleaning schedule. While not perfect by any means, I am cleaning more consistently than ever before. If I have a 20-minute time block in which I can clean a bathroom, I'll do the whole bathroom. 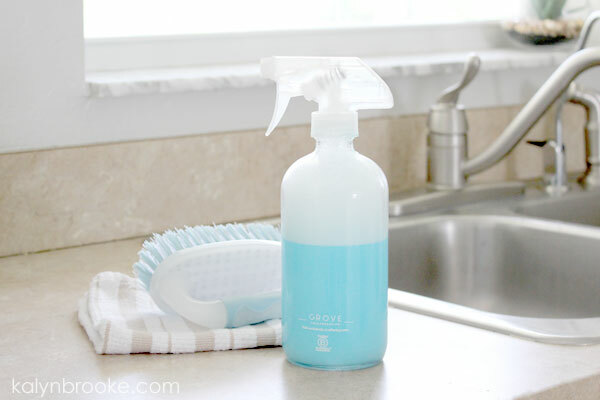 If I only have 5 minutes to do the sink, I'll do the sink (using the best bathroom cleaner ever, of course!). 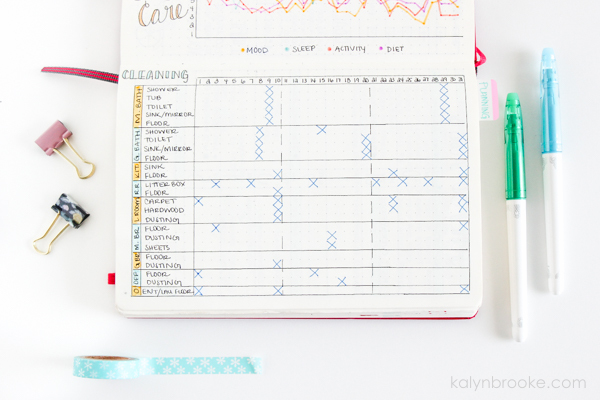 By tracking on that monthly cleaning schedule what items I haven't done, I always know where I stand and don't feel like I have to do it ALL every single day. In fact, you might have noticed from those pictures that I don't ever get everything done within a 10-day period! Yet, somehow, even though I am a die-hard perfectionist, this doesn't bother me because I can see continual progress. Progress is gold: I can always get at least one small thing done that moves me closer to toward the goal of consistently maintaining a clean home. 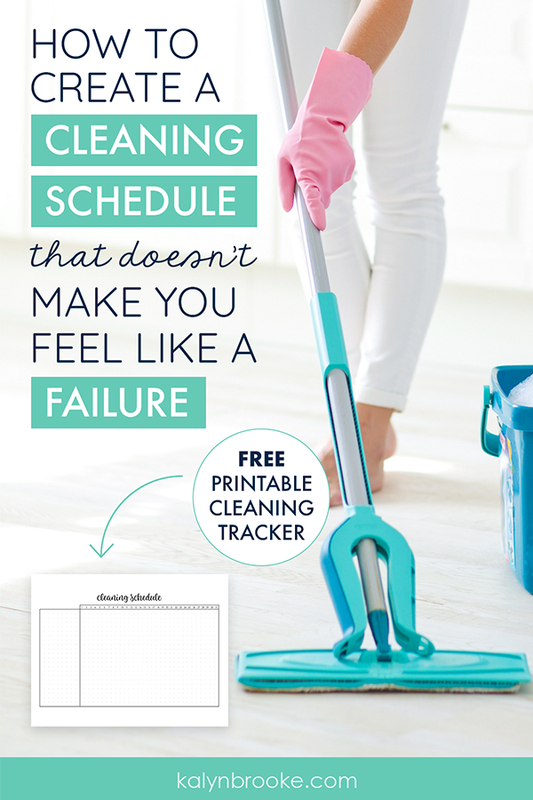 If you would like to adopt my flexible cleaning method, I have a couple printables for you! One is an 8.5 x 11 sheet you can hang on your fridge or keep in a large home management binder. The others are 5.5 x 8.5 (two to a page) so you can hole punch them into a smaller notebook, or print on sticker paper to include in your own bullet journal. Create your ideal timeline. Be ambitious and do tasks every 7 days, take my approach and try 10, or spread it out across 15 days—your choice! Establish a cleaning system. Remember: this is the most important step. Decide what will help you implement your system. Maybe it's hanging the larger printable on your fridge. 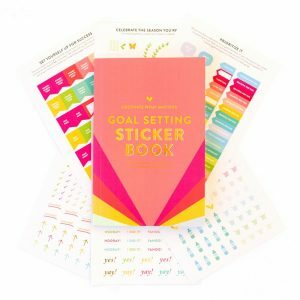 Maybe it's adding a set number of tasks to your weekly planner or setting the habit of one cleaning task a day, no matter how big or small. Just don't forget to give yourself grace. We are not home management robots. It's okay if you miss a task. It's okay if your home isn't spotless. Yes, we would all prefer it to look that way, but life happens! The goal is to keep trying. Keep moving forward. And most of all, keep making progress. What does your cleaning routine look like?